Maruti has launched the new WagonR at a starting price of Rs 4.19 lakhs, ex-showroom. Design and Styling: The success of Maruti WagonR has never been about styling. Looking back at the lineage, the car has always been boxy with function-over-form attitude. Where the WagonR lacks in terms of styling, it more than made up for with impressively roomy interiors and city-friendly dimensions. The new model represents a significant shift in design theme. It still is boxy but the overall styling attempts to break the ‘econobox’ appeal of its predecessors. Headlamps with kinks, bolder grille, floating roof illusion, and prominent x-mas tree headlights inject much needed freshness to a very strong brand. 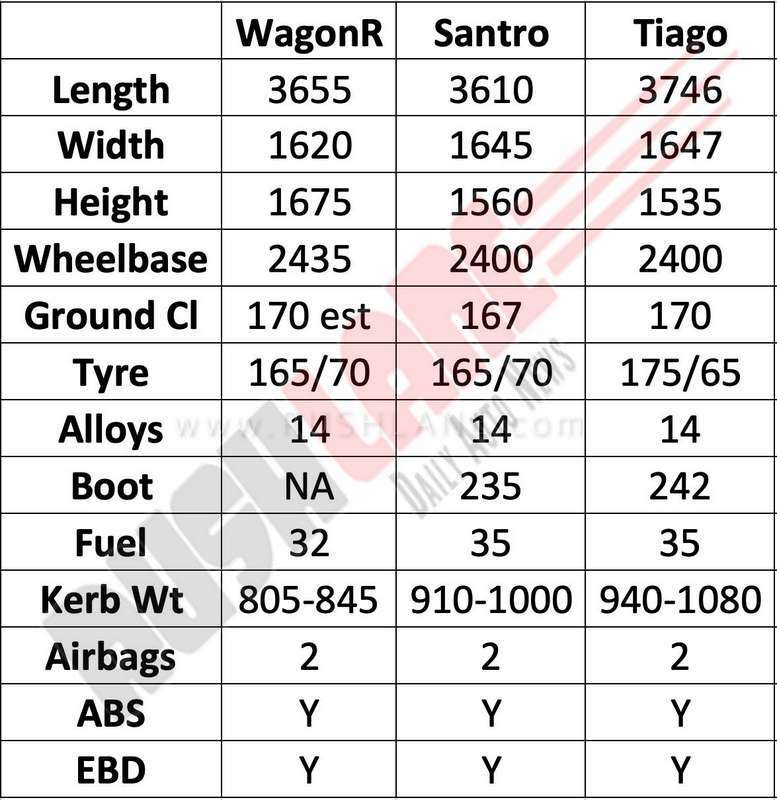 The 2019 WagonR is a good 145 mm wider, 15 mm longer and 5 mm taller with 35 mm longer wheelbase. This would translate into even roomier cabin and much better road presence. Both Hyundai Santro and Tata Tiago feature completely different design themes. The Korean small car too adopts tallboy construction but sports curvy lines and has a more youthful appeal. The front fascia with a large gaping grille makes the headlamp design look like an afterthought. The Tata Tiago opts for a comparatively understated yet proportionate design. All being said, if looks were the primary driving factor of sales in this segment, the WagonR wouldn’t be one of the best selling cars in the country. 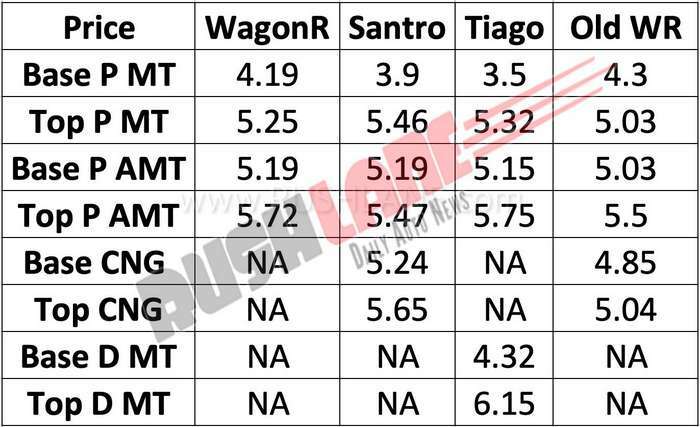 Equipment: Last time we compared these three cars, the Hyundai Santro emerged as the best equipped product by far but the new WagonR closes the gap quite significantly. While we await more details on the list of features, from the spyshots, we can be sure that the latest Maruti will offer touchscreen infotainment system, standard dual airbags, multifunction steering wheel, power windows, powered ORVMs etc. The presence of rear AC vents is where the Santro scores over the new WagonR. The Tata Tiago, while being reasonably equipped for its price, fall a bit short of its rivals on sheer number of goodies on offer. Tata could react to the fresh onslaught by augmenting the Tiago’s equipment list in the coming months. Engine and Milage: Powering the new Maruti WagonR are two engine options – 1 liter and 1.2 liter petrol. Both engines are offered with either 5 speed MT or AMT. The 1 liter option delivers 68 PS and 90 Nm, while the 1.2 liter delivers 83 PS and 113 Nm. Mileage claimed is 21.5 kmpl and 22.5 kmpl respectively. 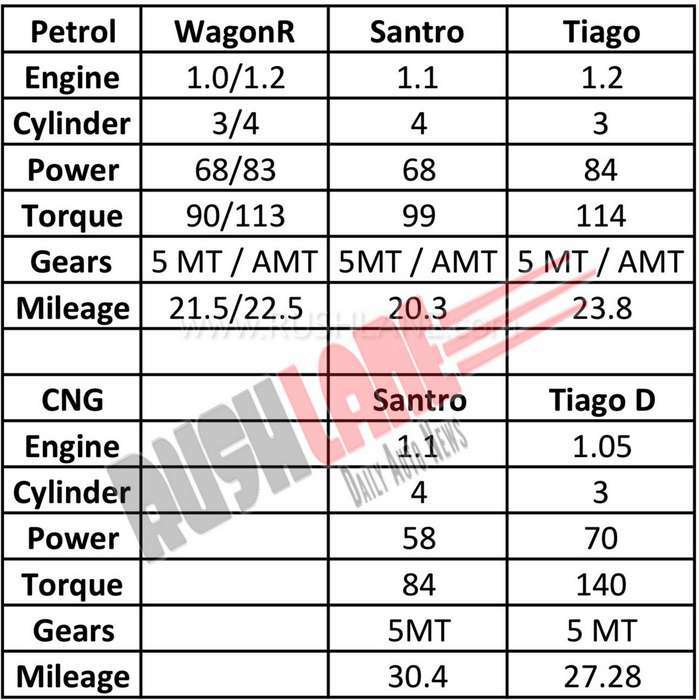 In comparison, Tiago is powered by a 1.2 liter petrol and 1.05 liter diesel engine. Hyundai Santro is powered by a petrol 1.1 liter engine. It is also offered with dual fuel CNG option. Maruti WagonR will not get diesel option, but it will get dual fuel option of LPG and CNG in the future. 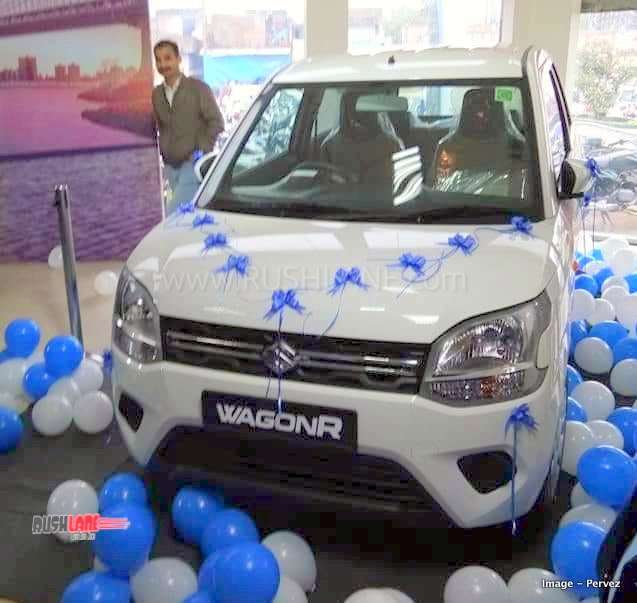 Price: New Maruti WagonR entry level price has been reduced to Rs 4.19 lakhs, as compared to old WagonR’s Rs 4.3 lakhs price tag. But, it is still more expensive than Santro and Tiago, which start at Rs 3.9 lakhs and Rs 3.5 lakhs respectively. Top end petrol AMT prices are almost similar in the range of Rs 5.5 lakhs to Rs 5.75 lakhs. Conclusion – Of the three, it is the Tata Tiago which comes out on top. One of the strongest cars in the segment, Tata Tiago offers a refreshing design language in the segment, which is rather boring. Hyundai Santro offers better quality, but is low in space. While Maruti WagonR is all about space and saving money, but it looks old and boring already.